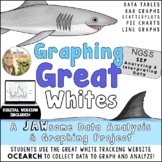 Students will use data to create and interpret a line plot. 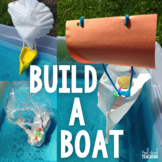 This activity requires students to create a scale based on fractions as aligned to the fourth grade common core standards. Students will get a hands on experience using measures of central tendency. 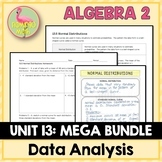 Students will conduct a series of tests with their classmates, collect data and then analyze using mean, median and mode. 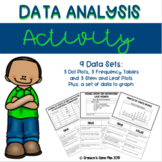 Data collection chart and analyzing data worksheet included. Enjoy! Students will get a hands one experience as they collect data from their very own classmates. They will collect data, analyze data and have fun! 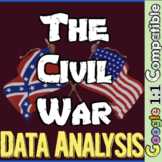 Data collection chart and data analysis worksheet included. Enjoy! 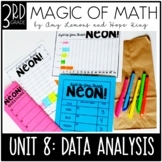 This is a set of four types of graph and table activities that align with third grade math standards. 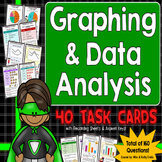 Can be used in a math small group setting or for independent work. At the end of each activity are QR Codes that students can scan to independently check their work. 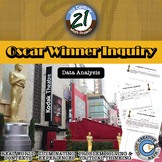 Utilize the last twenty years of Oscar winners as a data set to guide your students through creating box and whisker plots, histograms, and exploring mean, median, and mode -- in one 21st Century Math Project!Does the age of the award winning star in a film relate to the overall gross of the movie?